We have spent years honing our craft in Costa Rica in order to provide you with custom, high-quality weddings and events. Read on to find out what sets us apart. By working exclusively in Costa Rica for the past 7 years, we have developed a mastery of the country. Although we service all of Costa Rica, we are located in Playa Tamarindo, and are most knowledgeable about the Guanacaste region. It is important to us that each wedding embodies certain design elements that are unique to Costa Rica. We embrace the natural surroundings here in Costa Rica and love to let them shine through in our designs. 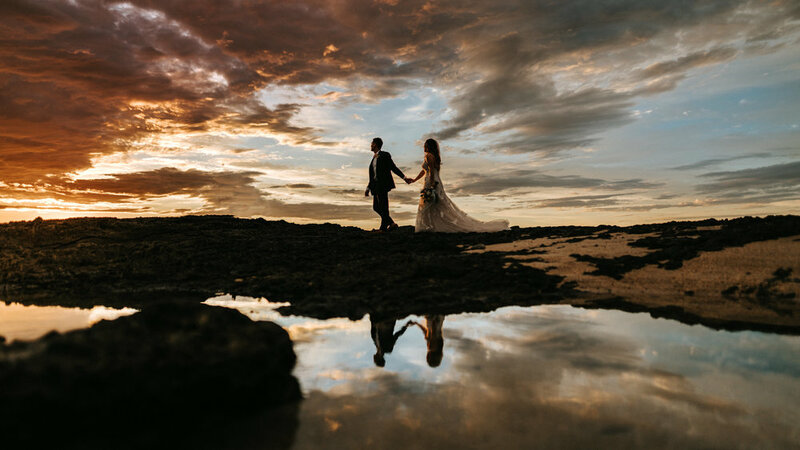 Four Winds Weddings & Events revolves around the belief that you deserve a destination wedding that is unique and representative of your individual taste. Our goal is to make your wedding vision a reality while taking the stress out of the planning process in order to make your dream day an unforgettable experience. We believe you should be feeling as Pura Vida as possible on the big day! We are committed to giving our clients the most attentive and personal service possible therefore we only accept a limited number of weddings per year. We bring the most talented professionals together by combining the design savvy of our in-house creative team with artesanal event rentals and a boutique photography studio. No matter where you are at with your wedding planning we would love the opportunity to collaborate with you. Let's Connect!